This is supposed to be the “Hi! I’m Julie!” paragraph, but can I tell you how weird it is to be “let me tell you all about me! And a little more about ME!” So you can tell from that I don’t like to be the center of attention – even on our wedding day it felt weird. I’m a 35-year-old wife and full-time mom of four, and I’m tired. Nathan and I were married in the Oakland Temple 8 years ago and have packed a lot of living into a short time. My sons are 6 and 5 and my daughters and 3 and 8 months. Our first and third children are biological and our second and fourth were adopted. We really love adoption. I grew up in Los Angeles and went to church and seminary in the church building on the temple grounds. After high school I went to Ricks, and then Southern Utah University. I really loved SUU and Cedar City. After graduation I moved to Walnut Creek, CA where I worked as a 1st grade teacher and reading specialist and went to graduate school for reading education. Nathan and I met in the singles ward and then I retired from teaching when we had our first baby in 2004. We moved to Northern Utah in 2006 after we came here to adopt our second baby, and decided this was a pretty nice place to raise a family. Watching my kids sleep. It’s the only time they’re quiet and calm. Hallelujah! But really, I love teaching them and watching them learn. I loved teaching school, and teaching my own kids everything from reading words to singing songs to how to say their prayers to how to put away laundry is so much more rewarding because they’re my very own kiddos. Potty training!! I’m starting with my 3-year-old the day this interview goes live (please send chocolate, diet cherry pepsi, patience and sanity asap), and if any of you would like to come on over for 5-10 days and take over for me, email me for my address. I’ll do five of your least favorite motherhood tasks in return! Travel and explore and travel some more! I’d be thrilled if my husband could finagle an international assignment at work – we’ve been talking about it for years. Just something we can do for 2ish years and then know we can move back to the comfortable USA with a guaranteed job when he’s done with that assignment. I’d love to head to India, or a lot of places in South America. I also dream about buying a motor home and homeschooling for a year while we travel around the lower 48. Oh, that would just be heaven in a few years when everyone is a bit older so all the kids could remember at least a part of it. There is so much to see and experience! I’m excellent at exposing my kids to good literature and reading to them every day. We are big fans of books at our house, and believe in exposing our family to lots and lots of good printed material. Our city’s library isn’t the greatest, so we joined the county library system in the next county over. We head over about once a week and stack up, usually bringing home several bags full. The kids are used to seeing me read (which is a big part of a child becoming a reader themselves), and are becoming avid readers themselves. We read to the kids on our laps from the time they’re tiny – when they love books more because they are chewy than because they are well written. 🙂 They learn to cherish the words and pictures over flavor of the paper soon enough. Once you learn to love books and libraries the world just opens up and possibilities are endless. It sounds cheesy, but books and loving reading…very little is as important. I’m loving pinterest. Have you all discovered it yet? SO fun when you have just a few minutes and want some fun visual inspiration. I’m loving the fireworks tents in the parking lots, all the red, white and blue that’s out, the new patriotic bunting I bought for the front porch after wanting some for years, huge watermelon displays, fresh strawberries, and just perfectly warm days with a tiny bit of breeze. I’m loving pebble ice, clean dishes, girlfriends that make me laugh, thinking about the super soft towels my mom had at her house last week when we visited, and sifting through vacation photos. I’m loving watching my baby try to become a toddler, my 3-year-old try to write wobbly yet hopeful letters, the photo of my five-year old writing “Trader Joe’s” in the sand at the beach, and my 6-year-old smile when he tells me how much he loved playing at his baseball game. I love being just-right tired because it means the day was full of fun and satisfying work and now I get to rest for a few hours before we start all over tomorrow. Oh, how cute that someone thinks I have unscheduled time! Well, of course I do, but not very much. I’m actually trying to try harder to have more unscheduled time, to just go with the flow, play with the kids, and just be. I have a wooden sign in my kitchen I had made to remind me of the inscription on a bench in a church courtyard in Carmel, CA that I loved. It says “Rest and be thankful.” I don’t do that enough. By the time the kids go to bed, I’m DONE. If I can find a few minutes to sit down I love to read, I like to pretend I know how to take pictures, I love to bake and I like to try to be crafty. I love to spend time outdoors in nature, gardening or cloud watching with the kiddos. I love to take bike rides with the family and try to identify all the birds and wildlife we see on the trails just behind our house. I love to fish and hike. I enjoy talking to and laughing with my husband, being with friends, and daydreaming. 1) God knows me and he will never, ever leave me alone. 2) God speaks to you in your language. One of my most proficient languages is the hymns, and that’s how I’ve had many prayers answered. For our first adoption attempt, we were matched with a woman pregnant with twins. When she chose to parent the boys, they were 3 days old, and we were devastated. Because of multiple blessings I’d had while we were waiting for the babies, my faith had a magnitude 10 earthquake hit. For different reasons, I felt like I not only lost the babies, but a relationship with my Father in Heaven. He still sent me comfort that first worst day through the words of the hymn “How Firm a Foundation” and it let me know for sure He hadn’t forgotten more, knew me, and loved me. More of the story is at this post. I know what I was going to say, but I asked my husband what he thought my response would be. He said #1: clean floors. It’s true, so it’s funny I hadn’t thought of that. Even when there is not a baby crawling around, I need my floors vacuumed and mopped. I have to say that I have chilled out with the mopping (and a small bit of the vacuuming) ever since I got tennis elbow from it. YES, it’s true – housework can be dangerous business. 🙂 His #2 answer: cooking. Which is really generous of him since I haven’t been great at the cooking good meals for a couple months! My #1 answer was: I love making bread and I’m darn good at it. I feel sad when people are scared of yeast breads and would love to help everyone see how easy it is to bake lots of kinds of really delicious, healthy bread at home (and save a ton of money, too). You don’t need what everyone tells that you need! Weddings and babies are such a business. To expectant moms: A baby needs a food source, a place to sleep, clean diapers, warmth and love. And 2 of my babies have needed a swing. That’s it. Don’t fall for the hype of feeling like you need to have the newest everything from Babies R Us. I had really severe postpartum anxiety and depression after I gave birth to my first baby. That was certainly unexpected and unwelcome. It was horrible, terrible, awful, no good, and very bad, not to mention terrifying and isolating. My head was in a place where I felt I couldn’t tell my husband or doctor, and so it was a few long months before I got treatment. After I was better, I was terrified to become pregnant again, since the doctors couldn’t give me a good percentage of being healthy or not after the next pregnancy. 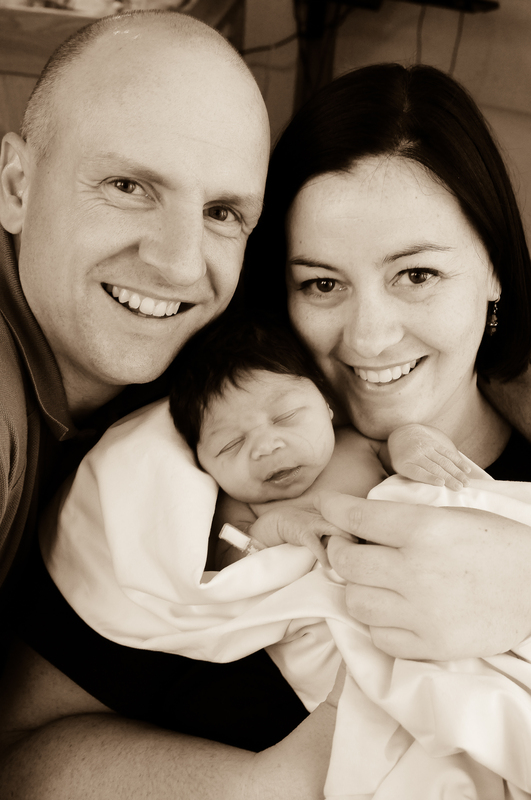 We came to learn that we were supposed to keep adding to our family – through adoption. I have since gained a testimony that I was given that trial after my first pregnancy to lead us to adoption at the exact right time, to bring the children into our family who are supposed to be here. It was a hard trial to get through, but boy oh boy was it worth it to get the two children we have adopted. 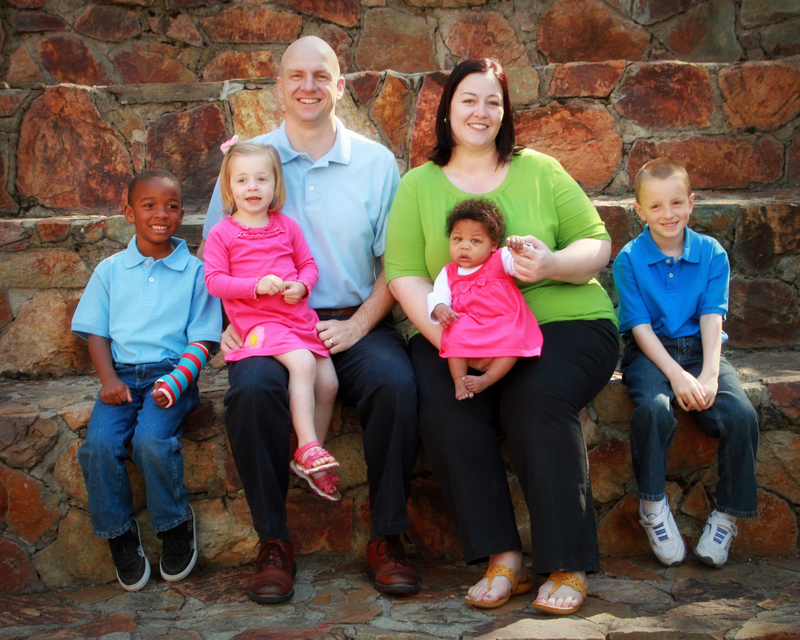 Adoption is a miracle and a blessing and we are so thankful for it! Celebration by Kool and the Gang!! There is ALWAYS something to celebrate – finding a new bird on our family bike ride, the first day of spring (even though it usually feels like spring doesn’t really come to Utah until it’s officially summer), hearing the frogs croak for the first time that year in the pond near the house, watching a child learn a new skill, bringing home a new bouquet of pretty flowers, getting a stubborn stain out of a shirt, or laughing with the baby. Celebrate good times – come on! 5%: Why are my kids are SO hard this week? 10%: I have the best kids EVER! 10%: Why do the older 3 never slow down, but I always want a nap in the middle of the day? Yawn. 10%: I love really my family. Tell us about your blog: A few months ago I decided to let my 5+ year old blog rest in peace (I am the blogger formerly known as the rarely-home mom; I dumped the blog largely because what I thought in 2004 was a funny play on “stay at home mom” meaning me and the kids were always out and about, was interpreted by a lot of people as “she don’t want to be home or with her kids”. Ack! Couldn’t have been further from the truth! ), and started a new one, kbmo.wordpress.com. KBMO is a saying my dad brought back from Scout Camp when I was a kid: kick back and mellow out. Good reminder, isn’t it? Come drop by and say hi! Thanks so much, Julie! Loved your introduction. I hope you all take the time to say hello. It’s never easy to put yourself out there like these brave participants do, and it feels great when people enjoy getting to know you. You sound so fun and a little like me. We may even have been at Ricks around the same time. I will definitely read your blog. Thanks Steph for doing this. It is such a nice way to meet other bloggers. Isn’t pinterest great?! I love browsing through it. Your children are adorable! I just want to smooch on that baby’s cheeks. . . Thanks for the introduction! Julie, we’re an adoptive family too…and guess what else we have in common? We also start our day with chores and school work during the summer. 🙂 (And mine are teens and pre-teens… Trust me, it only gets more interesting.) I do have to say I’ve abandoned the “late” bedtimes for later bedtimes as they’ve gotten older and night games seem to rule the universe. They still have to be awake by 7:00-ish, so they actually decide on their own to go to bed relatively early. Crazy that their friends think I’m a mean mom b/c they have a 10:00 curfew. But I don’t make bread. I know how, but I don’t, even though I really, really should. Gotta love cache valley. And happy birthday stephanie…hope its been great. I’m totally with you on the clean floors. That or a freshly made bed…mmm. Made beds and freshly vacuumed floors. I had the lovely privilege of growing up with Julie – she is as awesome as she sounds 🙂 !! Julie, it’s so great to meet you! And I think we are kindred spirits, I totally agree about clean floors and baking bread- and your testimony literally made me cry, because when I am in times of trial, the hymns are the first place I turn. Those inspired words enter my mind and soothe my heart every time. Just beautiful! I have yet again taken a vacation from the internet and missed meeting a new blog friend until the day before we meet another!!! So nice to finally meet you Julie! I love your family picture. You have a beautiful family! I can’t wait to check out your blog because you sound awesome, smart, and like an amazing mommy.